I'm just a spot away! 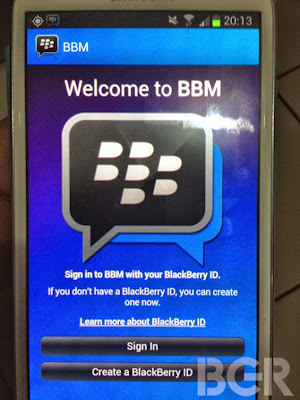 Has anyone got bbm on Android to work in Nigeria. 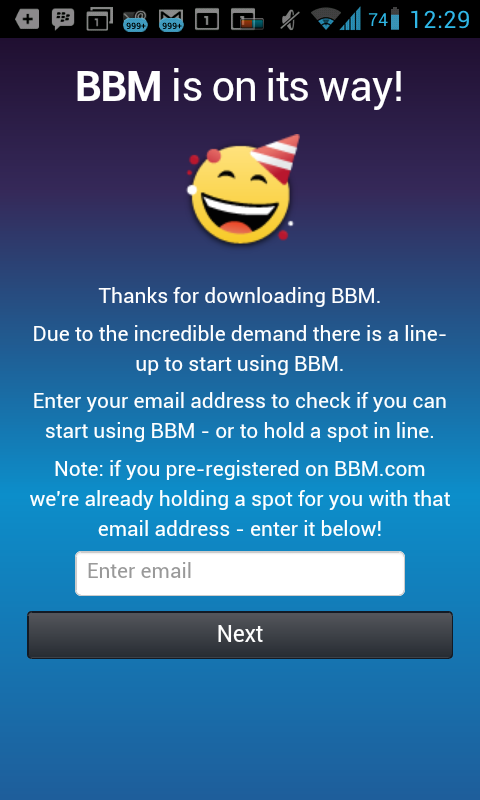 I am in a line according to the app I got through the Samsung app store. How do you get it to work. 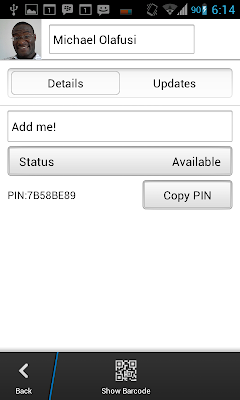 I'll be on only on weekdays, when I've got access to internet at office. 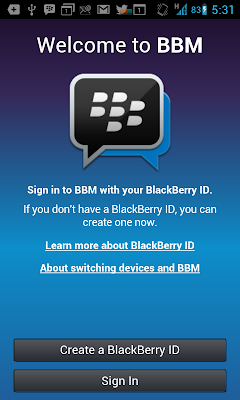 If we are already connected on my Blackberry phone's BBM, you should contact me via that one. 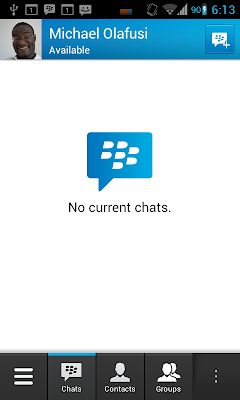 Thanks Mr mike.I got the BBM app downloaded,but it kept asking telling me that my email or password is still invalid for more than a week now what do I need to do pls. 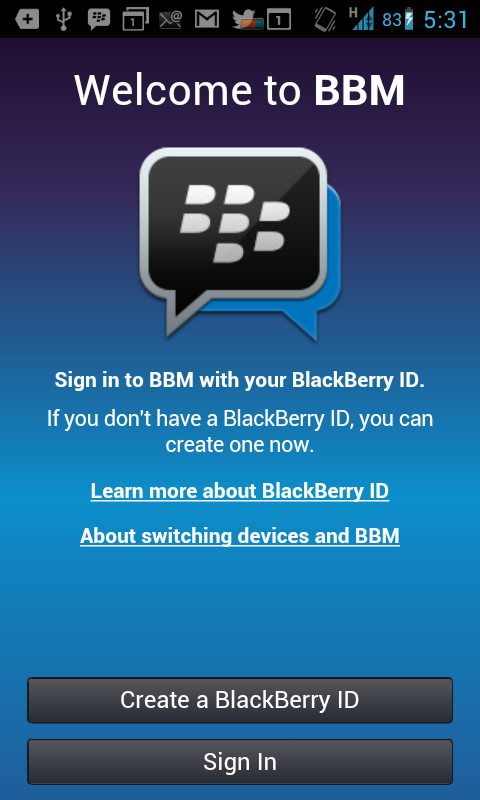 As for blackberry id, you're better off creating a new one. Are you sure you download the official BBM? 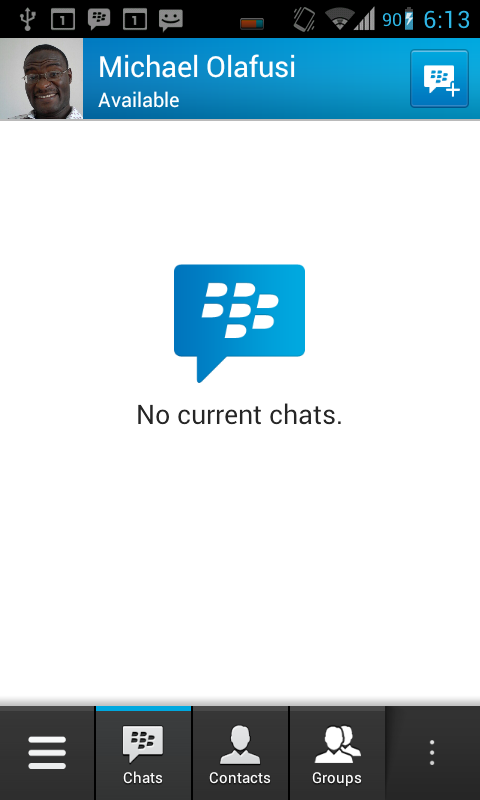 Here's what I suggest: uninstall the one that's complaining. 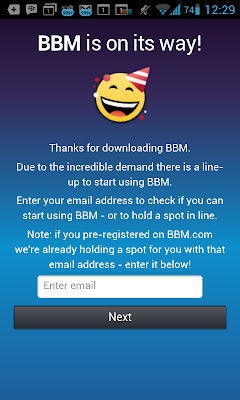 Download the one with the following name, letter for letter and no more, BBM. Install. You should have no more troubles getting a BBM PIN.